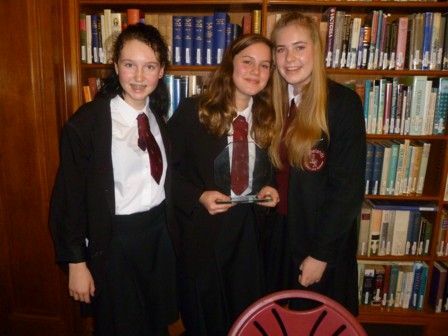 On 27 January, the Rotary Club of Cranleigh held the local round of Youth Speaks, the annual Rotary public speaking contest, in the Reading Room at Cranleigh School. Three teams from Glebelands School competed for the intermediate trophy, while teams from Cranleigh School, Godalming College and Glebelands School competed for the senior trophy. The subjects chosen by the team speakers were varied and interesting and presented with confidence and style, including "Cyberschooling: is it time for change?" and "The world without social media". The adjudicators, Mark Lebus, Wendy Dunnett and Elizabeth Dray, had great difficulty in deciding the winners but finally agreed unanimously that Glebelands Team 3 was the winner of the intermediate section with their subject "Limiting Labels" and Godalming College were the best in the senior section with their subject "Judgement and criticism". Both winning teams progressed to the next round. The seniors competed in the semi-finals at Bushy Hill School on 11 February, followed by the intermediate semi-final at Oxted School on 23 February. “It was a wonderful event and the entries were of a very high standard,” said Rotarian Michael Hart, who organised the local competition. “Our thanks go to the adjudicators for giving up their time and to Cranleigh School for allowing the event to be held at the school, providing the refreshments and for inviting all attendees to supper in the school dinning room. Caption: The winning Glebelands intermediate Youth Speaks team. Chairperson: Cicely Dibben; Speaker: Hannah Large; Proposer of vote of thanks: Katie Welland.